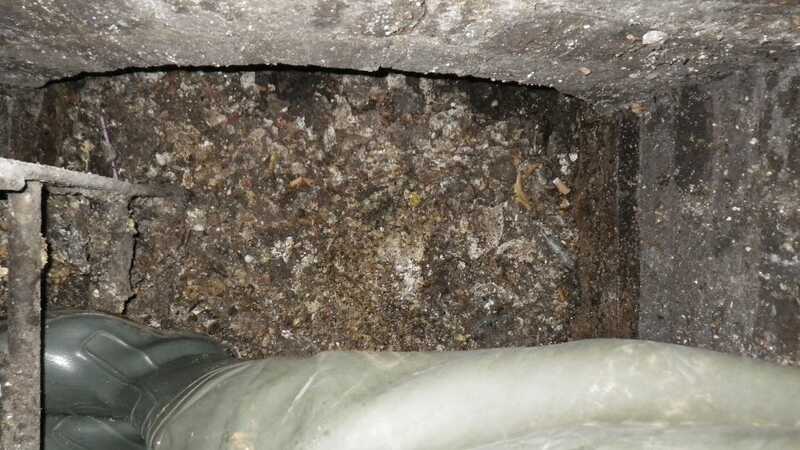 Thames Water, the company that keeps sewers flowing freely under London, has released a set of disgusting pictures of a "fatberg" that took a week to remove from a 262-foot stretch of Shepherd's Bush Road in West London. The water authority says it was the size of a Boeing 747, if it were buried underground. "A team of sewer experts from the company fought the ‘berg all last week (Tuesday, Aug. 26 to Friday, Aug. 29). The immense, solid blockage needed to be broken up and removed from the sewer to prevent sewer flooding to nearby homes and business," the company said in a press release. Fatbergs are composed largely of cooking oil that has been poured down drains while hot and runny. Once in the cold water of the sewer system, however, the fat congeals. The solid mess then combines with "wet wipes." The wipes are frequently labeled as "disposable" but are turning out not to be. 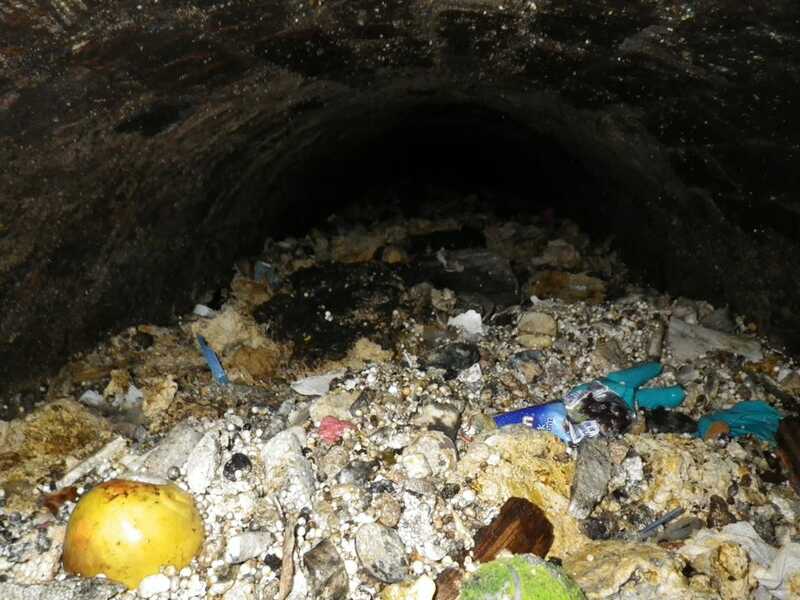 Cooking oil + wet wipes = fatberg, it turns out. The team used high-powered hot water jets for a week to dislodge the colossus. For scale, that's a tennis ball in the foreground. But you can see that the lipid dam is nearly at the top of the sewer. Thames Water spends £12 million a year (about $20 million) on the war against fat. “The sewers serve an important purpose — they are not an abyss for household rubbish," Dennis said. 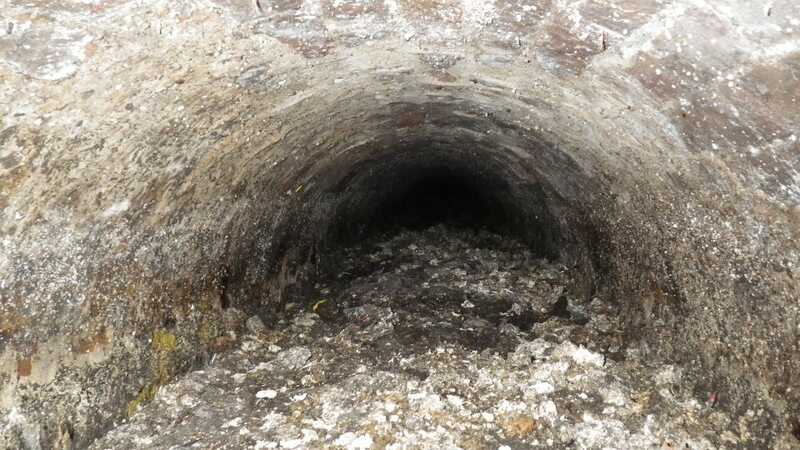 The worst neighborhood in London for fatbergs is Harrow, which has been plagued by 13,417 fatberg sightings in the past five years.